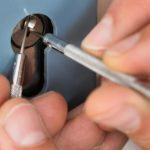 Locksmith Care » What your trusted locksmith in Markham probably did not tell you? 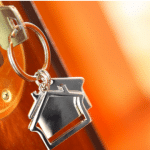 What your trusted locksmith in Markham probably did not tell you? The fact that you yourself have difficulty opening the numerous locks to get home does not mean that for the thieves will be so difficult. If you are using a conventional lock or middle-class locking mechanism, it is extremely easy for thieves to penetrate with a bump key and sometimes with the key that has been stolen shortly before, without you suspecting that fact. Entrance doors with beautiful windows and stained glass windows have an extremely luxurious appearance and contribute to the stylish look of your home. In case the glass is not armored and the lock is next to the glass opening, your door will be unlocked even by a complete amateur in residential theft. We all watched the films with breakage of the glass, and the hand slammed to open the door from inside. Did you have to call a locksmith in Markham at night? No, the problem is not in the quality of the likely service, but in the fact that you have to stay in front of your home and wait for the specialist, feeling extremely stupid. The price for the night’s visit, though decent for this type of business, is a cost that should make you at least learn your lesson. 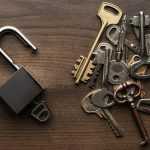 Make key duplicates (at professional locksmith’s shop if possible) and leave a copy in your car, in a secret place in the yard garden, a trusted neighbor, or a friend living nearby. So when you go out for the morning paper or to throw away the garbage in the evening, you will not shudder, hearing the door shutting behind you. Your lock is fatally damaged, inconvenient, and ugly – it does not matter! The first right step is to change it with a new and possibly more reliable one. This does not mean you have to go to the nearby hardware store and buy the first product recommended by the seller. 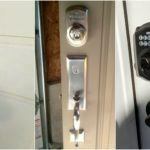 Every locksmith in Markham and anywhere in the world will tell you: Do not do it! Do not think installing the lock is an easy and simple job. Modern locks, especially if they have a higher degree of protection, are mounted in a specific way that you do not know about. You also need special tools that are certainly missing in your home workshop. The “lock change” operation must be performed professionally, so look for a good licensed locksmith in Markham or the area where you live. Let him recommend you a suitable locking mechanism to suit your needs and finances. Let him do the installation. Believe me, it’s worth. Locked Out Of Your Home in Etobicoke? Locksmith Care Can Help! What would make you think about lock change? Whitby locksmith to repair / replace the lock – what should you expect? 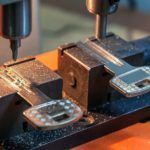 A good professional locksmith in Etobicoke – Why is it important to find him today?